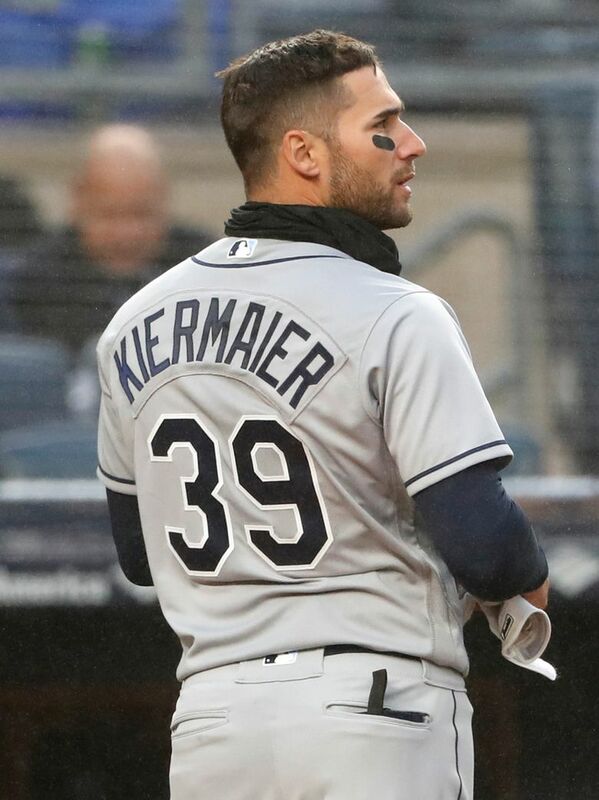 Rays center fielder Kevin Kiermaier threatened to cover his entire body with Vaseline to ward off the frigid opening-week temperatures in New York. The spirit of Gaylord Perry lives! Too bad he didn’t follow through: Braking his slide into second might have proved interesting. Bengals linebacker Vontaze Burfict will serve his third straight season-opening NFL suspension, with 3-, 4- and 5-game bans to his credit. On the bright side, though, he’s just a 2 or a 6 from filling a small straight in Yahtzee. • If Kansas’ basketball coach takes a photo of himself, is that a Selfie squared? • Does Boise State’s beach-volleyball court feature blue sand? This year’s Canadian Livestock Auctioneering Championships take place May 11 in Whitewood, Saskatchewan. Sorry, no instant replay to overturn bad calls in this competition. Canadian researchers say the odds of being hospitalized with a cardiac episode go up 40 percent for male hockey fans under age 55 the day after the home team wins. The Sabres — 11-24-5 at home this season — immediately laid claim to the Heart Trophy. Bonus distance event to commemorate future Yankee home openers: the Giancarlo Stanton 5-K Run. The snakebit Mariners lost two more starters to injury — catcher Mike Zunino (strained oblique taking BP) and DH Nelson Cruz (twisted ankle from slipping on dugout stairs) — before the season was even two games old. So, forget bobbleheads — when’s Seattle hosting its first Bubble-Wrap Doll Night? Nashville Predators fan Briley Meeks, angry over a controversial call, mailed two catfish to NHL headquarters in Toronto last week. Inquiring puck minds are dying to know: So how’d he land the fish — hooking or spearing? Security staff at Augusta National was reportedly provided a sheet of prohibited sayings for this year’s Masters that will get patrons ejected for yelling them. Except in the case of “dilly dilly,” which gets one banished to the bunker of misery.